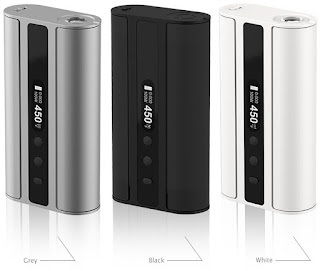 The new Eleaf iStick TC100W Fireware Upgradable Mod is designed with the latest temperature control system. the features of this mod are as follows ,you can have a quick look frist. One of the advantages for this mod is upgradable firmware and switchable TC(Ni/Ti/SS/TCR)/VW/Bypass modes. New TC-SS/TCR Mode: The new TC-SS mode can support 316 stainless steel coil and the TCR mode can support various TC coils at different TCR values.